It can be lovely to both admire and show off your nails after receiving a professional manicure and we’re certainly among that group! Whether you prefer the clean lines of a classic French manicure, subtle colors or bold designs, beautifully manicured nails can make you feel fabulous. But there are many other wonderful benefits of regular manicures beyond walking out of the salon with pretty nails. Some women choose not to receive regular manicures because they feel that it is more of a luxury than a necessity. However, professional manicures actually provide your nails with the care they need to remain strong and healthy. Consider for a moment the work your hands have to do on a daily basis. Between typing, texting and various daily labor tasks, your hands do a lot. Just like with any other part of your body, there are certain things you can do to help keep your hands healthy, including moisturizing and protecting them. However, your nails require a bit more detailed attention in order to remain healthy. 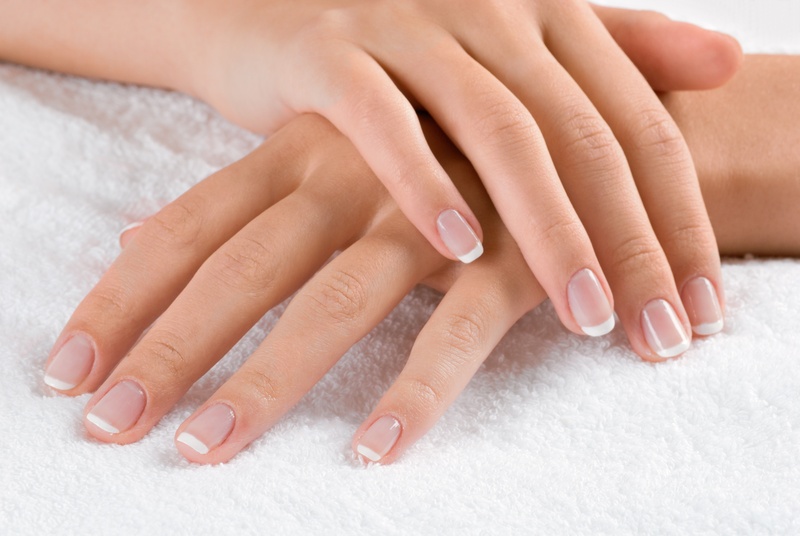 Fingernails are made up of keratin, a protein that builds up in laminated layers when kept healthy. When the keratin layers in fingernails are not kept healthy they tend to become brittle and worn down, which can lead to uncomfortable and unattractive nails. Furthermore, whereas regular hand-washing and moisturizing can help keep your hands and nails clean and healthy on the surface, a professional manicure can clean and moisturize nails more deeply. They can also render important care to your cuticles, the small piece of skin that overlaps the crescent base of each nail. Cuticle care helps to push back extra skin and prevent it from becoming ragged or torn, which can sometimes lead to fungus or bacterial infections. Fortunately, taking good care of your hands and nails with a professional manicure is an altogether wonderful experience, making it easy to indulge in on a regular basis. You can also customize your manicure with additional services, such as a paraffin wax treatment to improve moisture and suppleness. Manicures include a relaxing massage that will help to improve circulation and loosen tight, tired muscles. As with any other spa service, the time spent relaxing and recharging during a professional manicure can help one to reduce stress and become more focused and productive. And don’t forget, manicured nails can make a fashion statement, helping you look put together, professional, and confident! At Botanica, our chic nail salon space will give you trendy Instagram photos while your nails get the treatment and care that they need! Our nail technicians give you the best manicures in the tranquility of a spa setting (much quieter than a busy nail salon) with the standard nail shaping, hand massage, and your choice of a polish. The Russian manicure is available at Botanica with a normal polish or gel polish, either of which will benefit from the e-file technique it offers you. Choosing to have your nails done at a spa rather than a nail salon offers you plenty more peace and time devoted to the nurturing of your nails to avoid cuts or forgotten cuticle care. And it’s okay to disappear for an hour or two to get your nails done as a treat to yourself too! There is nothing better than a relaxing atmosphere with the staff who cater to you like a queen! Besides, the health and maintenance of your nails are important, aside from adding a bit of trendiness to your appearance, and at Botanica Day Spa, we care about giving you the best service possible more than anything else! Contact us today at 727-441-1711 to book your next manicure appointment!